Great Opportunity for you to have $55k of Instant Sweat Equity! Retro Mid-Century home in HOT Area, Phoenix Central Corridor with Mountain Views! Move-in Ready, NO HOA. Room to Add Value, make Retro-Modern, expand or update for instant equity! Brick/Block frame, 3bd/2ba + Bonus Room + Laundry Room. Newer Range, Fridge, Washer/Dryer included. Large Lot, grassy front/back yards w/sprinkler system, 2 storage sheds. 1-Carport easily converted to Garage. Rear Entry 20' RV Gate. 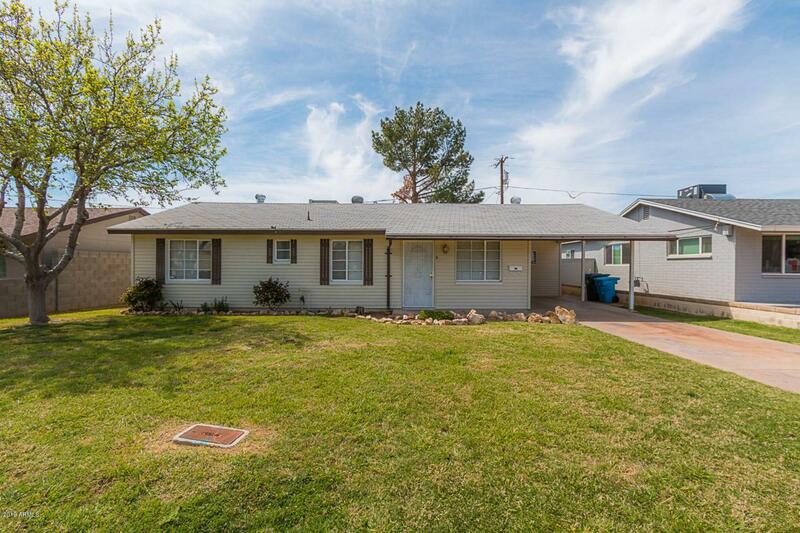 Close to Downtown, Employment, Freeways, Airport, Hiking, Entertainment, Restaurants, more. Nearby comparable homes selling in $300's (click link to sold comps in semi-private remarks for upside potential). Would make a great VRBO or Airbnb. Listing courtesy of Beauvais Real Estate.